Combustible dusts are strictly regulated by OSHA and the NFPA as a major hazard in many workplaces. Industries including food production, agriculture, metalworking, woodworking, plastics, and more all produce explosive dusts, and any workplace that falls into those or other dust producing niches is required to complete a dust hazard analysis in order to maintain OSHA and NFPA compliance. The DHA or Dust Hazard Analysis is the newest form of the PHA (Process Hazard Analysis), which was required by the NFPA from the 1960s until September 7th of 2015. As of September 7th, new installations, existing buildings, and any major renovations or changes are required to complete a DHA by September 7th 2018. This means that all buildings with hazardous dust or a dust collection system of any kind are required to complete a DHA within 3 years, or whenever installing new equipment or creating a new building. 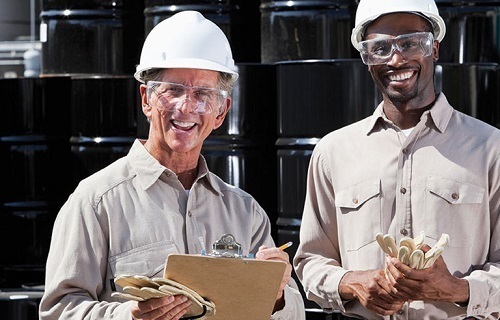 The Dust Hazard Analysis itself is designed to help managers and owners to ensure the safety of their premises, workers, and equipment by identifying potential hazards, and identifying steps to be taken to minimize those risks. 1. Evaluate fire, deflagration, and explosion hazards for each part of the process, each building, and individual compartments. 2. Identify safe operating ranges for equipment and processes, as well as safeguards for preventing operation outside of safe ranges, and identifying additional safeguards as-is needed. A dust explosion requires a few basic elements. These include combustible dust, a confined space, oxygen, a dispersion method, and an ignition source. If you remove any one of those elements, the hazard or conflagration risk becomes much less. This information is important to know when identifying potential hazards and evaluating their risks. Are Your Dusts Combustible? - If you haven't performed an Identify Material Hazards Test, then you do not yet have to complete a DHA. Identifying material hazards is crucial to identifying what types of explosive dusts you have and how explosive they are. It is crucial to assign a qualified competent person to perform the Dust Hazard Analysis. This person should either be an experienced employee or a third party with the expertise to properly evaluate and identify hazards. Where are potential dust hazards located? Can dusts exist in a size or volume to allow fire or explosions? What is the Kst value of the explosible dusts? What is the minimum explosible concentration for the dust? Could dust suspension happen during the creation of the dust? Could the concentration of this dust exceed the minimum explosible concentration? Is there an ignition source anywhere near any combustible dust source? What is the minimum air velocity required by the system to maintain the MEC (Minimum explosible concentration)? What is the minimum protective equipment required for employees? How quickly is dust being produced? Does the dust collection system meet the facility needs? Creating a housekeeping schedule that will keep the volume of combustible dust under the minimum explosible concentration at all times. Specifying and documenting dust production, dust collection system volume and pressure, and the housekeeping required to keep dust below the minimum explosible concentration. Integration of any additional safety or explosion suppression features as reccomended by the DHA. The DHA is designed to help prevent combustible dust explosions in the workplace by recognizing hazards and taking steps to minimize or prevent risks well in advance of possible issues. Check the NFPA 652: Standards on the Fundamentals of Combustible Dust for more information.